Today the Heritage Act 2017 commences operation. It introduces new streamlined processes and enforcement tools to ensure Victoria’s significant heritage places and objects are appropriately protected into the future. Major changes are outlined here. 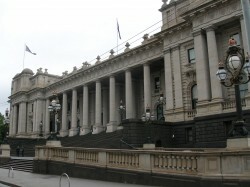 For the Heritage Council of Victoria the main changes under the new Act relate to its review and hearing processes, new functions to examine nomination refusals and archaeological consents, and different membership criteria for future Council members. The Council is publishing a new set of protocols and forms to govern hearings and reviews which will be available on our website early next week. Please note the Heritage Act 2017 commences on 1 November. Registration and permit appeal processes which began under the Heritage Act 1995 will continue to be governed by that legislation from 1 November. Any review or hearing processes that begin after 1 November will be governed by the Heritage Act 2017.